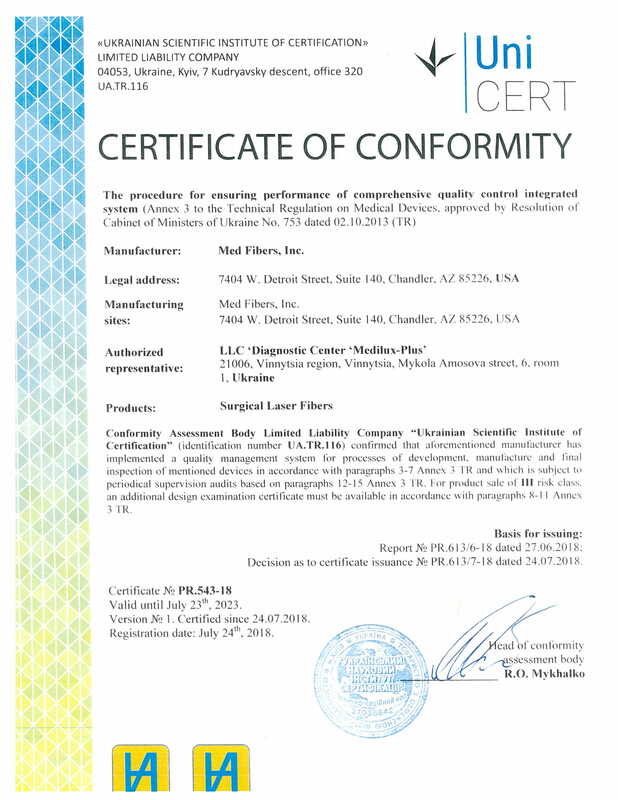 MED-Fibers Laser Fiber devices are GUARANTEED compatible for safe and effective use with all FDA approved lasers systems on the market (excluding those with RFID connectors). MED-Fibers surgical fiber products exceed the highest worldwide standards of optical specification. 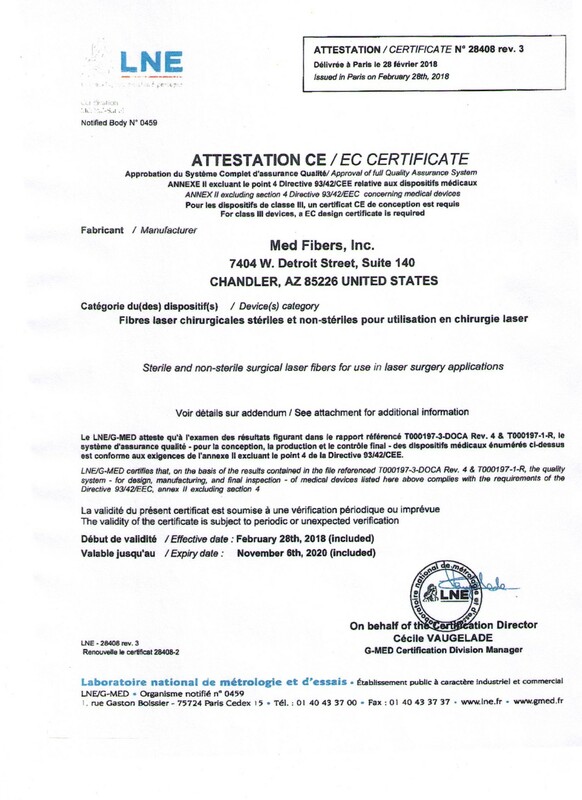 We are providing ISO certified, CE certified and FDA cleared surgical laser fibers. Make us your new supplier for quality laser fibers, offering a faster ship times than our competitors. MED-Fibers surgical laser fiber delivery systems are manufactured to provide optimum performance and 100% quality inspected before leaving production. Our products are made in the USA. QUALITY ENFORCEMENT IS OUR MOTTO!